LOUISVILLE, KY — When you think of innovation, you may automatically think of technology. 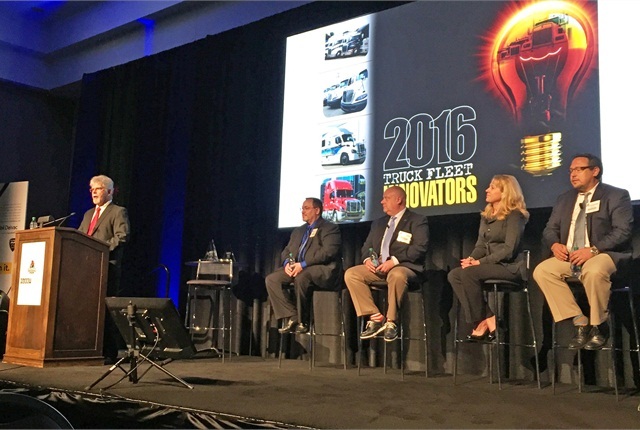 But a panel of HDT’s Truck Fleet Innovators Wednesday revealed that in many cases, it’s really all about people. 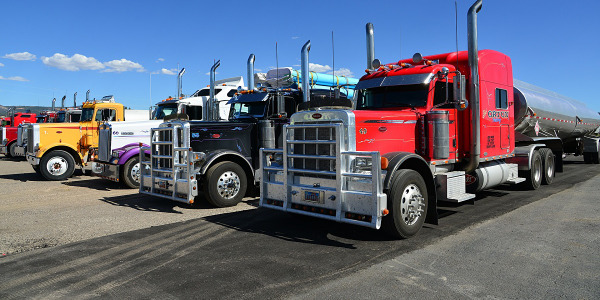 The panel discussion was part of the Mid-America Trucking Show Fleet Forum, held the day before MATS opened in conjunction with Heavy Duty Trucking and Fleet Owner magazines. 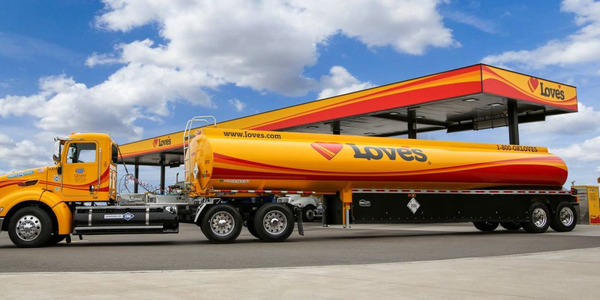 These forward-thinking executives were honored for their work in areas such as driver recruiting and retention and equipment spec’ing and maintenance, at companies with fleet size ranging from 60 trucks to 6,000. Moderated by HDT Equipment Editor Jim Park, the discussion looked at the panelists’ insights into industry issues such as barriers to growth, electronic logs and other regulations, and fuel efficiency. Much of the discussion revolved around recruiting, training, and retaining drivers and technicians. Joyce Brenny, for instance, president and CEO of Brenny Transportation in St. 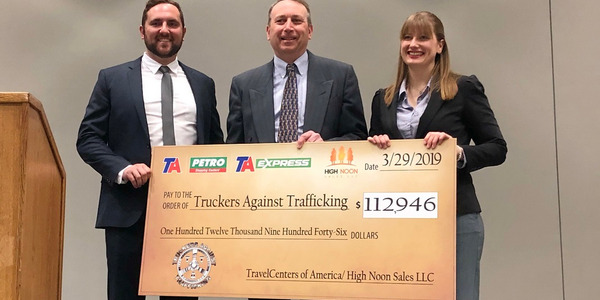 Cloud, Minn., was honored for her innovative training and mentoring program to bring younger drivers on board. 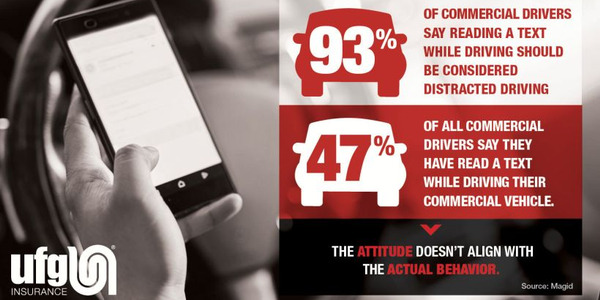 Finding the right drivers, she said, is important not only from a safety perspective, “but to keep our culture intact.” They have an extensive screening process when hiring, including personality testing, and turn away probably 75% of applicants because it’s not the right fit. Meanwhile, at expedited carrier V3 Transportation, a mix of different types of equipment allows them to bring new younger people into the industry by starting them out in Sprinter or cargo vans, explained CEO Bob Poulos (sitting in for his colleague John Sliter, who couldn’t be there). From there, they will pay for them to get a commercial driver’s license and gradually move them into larger pieces of equipment. On the technician side, Gerald “Gerry” Mead, senior VP of maintenance for U.S. Xpress, emphasized the need for training. One challenge, Mead said, was power management on the trucks. Randy McGregor, fleet manager for Transway Inc., says his fleet has approached the power management challenge a little differently. The trucks are spec’ed with factory-installed, electric, no-idle heat and air conditioning systems, “and we’ve been successful with them.” The key, he said, is “we do some education with them to give them understanding of how the system works and the effects different loads have,” and offering advice on strategies such as charging their cell phone or laptop while driving rather than while sitting. All four emphasized the importance of things like communication, team-building, training, mentoring, trust, recognition, and respect. 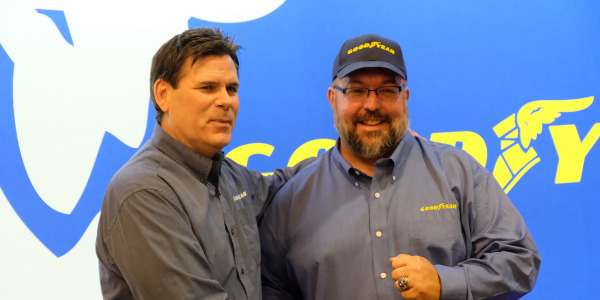 At U.S. Xpress, Mead said, they’ve been on a mission this year to recognize people, spotlighting team members and their hobbies, with the theme, “You are the ‘U’ in U.S. Xpress.” Town hall meetings and online chats allow drivers and technicians and other employees to ask tough questions — and get them answered. They can send a message directly to CEO Max Fuller. McGregor said at Transway they don’t have formal programs, but technicians are recognized in many ways when they go above and beyond. For instance, he said, maybe a tech has an impact wrench that’s getting old; the company might help him buy it as a reward for his good work. At Brenny Transportation, new team members get mentors, someone to do things like take them out to lunch. It’s all about building trust, Brenny says, and you have to get to know people in order to build that trust. Fun seems to be an important part of the culture at these companies as well. Gerry Mead, for instance, was wearing loud patriotic socks. It’s become the thing at U.S. Xpress, apparently, to see who has the best-looking socks. He’s also organizing the company’s first technician competition. Brenny Transportation sets “dream goals,” which mean a trip to Cancun for the entire team if they’re met.